The National Center for Outdoor & Adventure Education (NCOAE) offers a Hybrid Wilderness First Responder training (Hybrid WFR), the industry-standard wilderness medicine course providing hands-on medical training, combined with skills in outdoor leadership, and critical thinking for professionals in remote and wilderness settings. For professionals in outdoor education, wilderness guiding, search and rescue, and more, the Hybrid WFR from NCOAE offers a unique alternative to the traditional WFR course. NCOAE [in conjunction with the Wilderness Medicine Training Center (WMTC)], the Hybrid WFR training requires 30-50 hours of independent study and successful completion of three online exams, prior to the five-day, three evening session on NCOAE’s Wilmington, North Carolina campus. The Hybrid WFR curriculum is comprehensive and practical. The Hybrid WFR curriculum is comprehensive and practical. It includes the essential medical foundation combined with required skills for accessing and managing medical issues in remote and wilderness environments. When successfully completed, participants in this course will have the ability — and confidence — to respond to people suffering major and minor traumatic injuries, common environmental illnesses, and medical emergencies in a remote area or wilderness setting. Wilderness First-Responder certification, valid for three years. Adult and Child Wilderness CPR and AED certification, valid for two years. This NCOAE-sponsored training exceeds the Wilderness First Responder & WEMT Scope of Practice requirements endorsed by the Wilderness Medical Society and is eligible for Fellow of the Academy of Wilderness Medicine (FAWM) credits from the Wilderness Medical Society. With the Hybrid WFR, you prepare for the practical session using the Standard WFR training materials and an interactive website supported by video, audio, and animations that comprehensively address the lecture material. Important Note: Prior to registering for a Hybrid WFR training, please visit WMTC’s Hybrid DLP course web site to see the course outline. Also, read the directions on the Home page and view the Lightning presentation to make sure this training meets your needs. There will be daily homework requirement expectations during the on-site course. Day 1: Welcome, introduction, and Q&A on basic anatomy and physiology. Also covered: BLS movements and scenarios; patient history, vital signs, and physical exam; SOAP note taking; focused spine assessments. Day 2: Case study reviews. Hands-on labs focused on basic splinting, wounds and injections. Day 3: Case study reviews. Advanced applications of skills learned thus far. Litter packaging and transport. Day 4: Case study reviews. Backboard/litter simulations; advanced splinting; dislocation lab (digit, jaw and patella reduction); hanging traction; hypothermia packaging. How is the Hybrid Wilderness First Responder (WFR) different than other WFR courses? We are the only provider in the outdoor education and adventure programming industry that offers the Hybrid WFR training. The hybrid training is unique in that it requires you to be away from home, work or school for only five days instead of the nine-day program required with traditional Wilderness First Responder training. What exactly makes your Wilderness First Responder (WFR) training ‘Hybrid’? Our Hybrid Wilderness First Responder (WFR) training requires you to spend 30 to 50 hours with at-home study and testing prior to attending the five-day practical skills training. After registering and paying for your training, we will send you two emails. The first will be to access the online study site; the second will be for taking the test online. You need to make sure you give yourself enough time to thoroughly read the information on the website in order to properly prepare for testing. As a certified Wilderness First Responder (from your organization), how do I replace a missing WFR certification card? You can contact us at officeadmin@ncoae.org and write “lost card” in the subject line to purchase a new card. When seeking to buy a new card, please include your full name, mailing address, date and location of your course, and the name of your WFR instructor. Or if you prefer, you can call us at (910) 399-8090. What do certified Wilderness First Responder (WFR) graduates receive after completing the course? Grads receive a certification card, a WFR patch and a sticker. Graduates or potential employers can call or email us at any time to verify your certification. For those who contact us online, we will happily send them proof of certification by return email. Proof of Certification requests should be sent to officeadmin@ncoae.org with “WFR Proof of Certification Request” in the subject line. How many years is my Wilderness First Responder certification in effect? And how do I get recertified? Your Wilderness First Responder certification expires three (3) years from the date the certification was issued, but Wilderness EMT and WFR grads can become recertified by taking a standard or hybrid course. Students who let their certification lapse must take the entire course again. But even with current certification, we strongly suggest you take the full course every six (6) years as a refresher. Can I get an extension on my Wilderness First Responder certification? There are no exceptions here — Wilderness First Responder certifications cannot be extended beyond the expiration date listed on your WFR certification card. And being late by one day past that expiration date makes for a sad story, but there is no grace period. It’s advisable to recertify before the expiration date, which requires only a minimum of planning on your part. That’s why we send out an e-mail reminder to graduates about four months prior to their expiration date. To assure you receive your email reminder to renew your Wilderness First Responder, please make sure your current e-mail address is on file with our office. What if I received my certification elsewhere? Can I recertify with you? 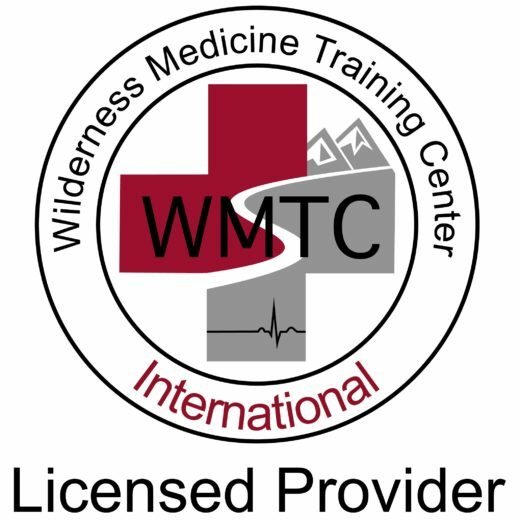 When you sign up with us, make sure to indicate you’re taking our Wilderness First Aid training for recertification and that your current certification hasn’t expired. You can recertify bysuccessful completion of either the Hybrid WFA or the Standard WFA. We’ll need you to provide your card with its expiration date. And, as mentioned above, if your card has expired, you must take the entire course again until you successfully pass our recertification course. Will I receive CPR training and certification along with my Wilderness First Responder certification? You will receive a two-year certification in Wilderness CPR (WCPR). Our WCPR training follows the guidelines of the American Heart Association (AHA). This training includes a foundation of wildness medicine philosophy, with an emphasis on preventing and identifying medical emergencies, using appropriate technology, and understanding risk management. The Hybrid WFR replaces eight traditional days of instruction with a combined independent study and five-day on-site format. Upon successful completion, students will receive a Wilderness First Responder certification and certification of CPR taught to an equivalent health care provider level. Certifications are valid for three years. When successfully completed, participants in this course will have the ability — and confidence — to perform first aid on people suffering major and minor traumatic injuries, common environmental illnesses, and medical emergencies that occur in a remote area or wilderness setting.